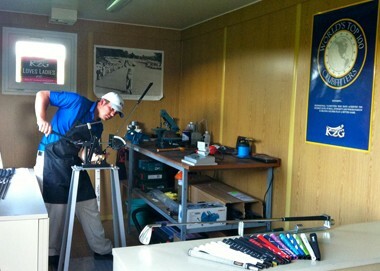 Andreas “Davis” Lauss has a great reputation and carries many well-earned titles: Head Professional, Touring Professional, KZG Master ClubFitter and one of the World’s Top 100 ClubFitters for nine years in a row (2010-2018). 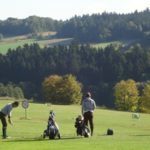 He is also a member of the International Professional Association of Clubfitters (IPAC), a prestigious group comprised of the world’s esteemed leaders in the field of custom fitting. Davis has been playing professional golf for many years and knows what it takes to be a winner: custom clubs that enhance your individual swing. 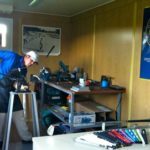 Davis has spent years learning the clubfitting profession and is dedicated to helping every golfer improve his or her game. Along with his own playing expertise and training as a professional fitter, Davis uses state of the art launch monitors and analyzers to perfectly fit every player in the right combination of club heads, shafts and grips. In his bag he carries a VC-420 driver, VC-F fairway woods, H370 Tour hybrids, Tour Evolution irons, XRS wedges, and Novatech shafts from KZG. When you are ready to shave strokes off your game, make an appointment with Davis and you will not regret it.